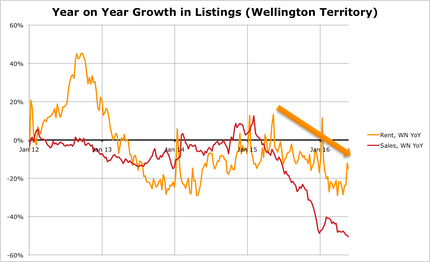 Listings have increased in Auckland and Christchurch but are severely down in Wellington and Waikato/BoP. �Does this mean population movement from Christchurch due to lack of earthquake recovery work and Auckland due to cost of living is now so severe that inter-regional migration is at a peak? �There are no stats on regional migration until the census comes out again. 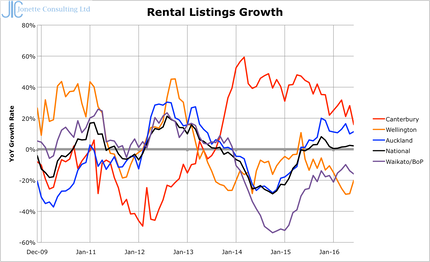 On the other hand, listings in Christchurch and Auckland continue to rise almost 20% pa. �Where is the housing shortage? �It may be a shortage of lower priced rentals, but there is no shortage overall.